As is frequently the case with more recent years (although we are talking about six years in the past at this point), there are a lot of movies I haven’t seen, which means there will likely be some suggestions in the comments below. There are a few actresses who I think could belong in this list but were either prevented from a nomination because of the nature of the film or the fact that Oscar still has some issues nominating performances that aren’t in English. I want to mention both Gine Gershon and Juno Temple in Killer Joe even though both are clearly in more supporting roles. Saoirse Ronan was probably denied a nomination because Hanna isn’t really the sort of film that Oscar nominates, and her age at the time didn’t help. The biggest misses for me are Elena Anaya in The Skin I Live In and especially Leila Hatami in A Separation. I haven’t seen We Need to Talk About Kevin yet, so I can’t comment on Tilda Swinton. 5. It’s difficult for me to parse this particular award because all five of the nominees have aspects I really like. 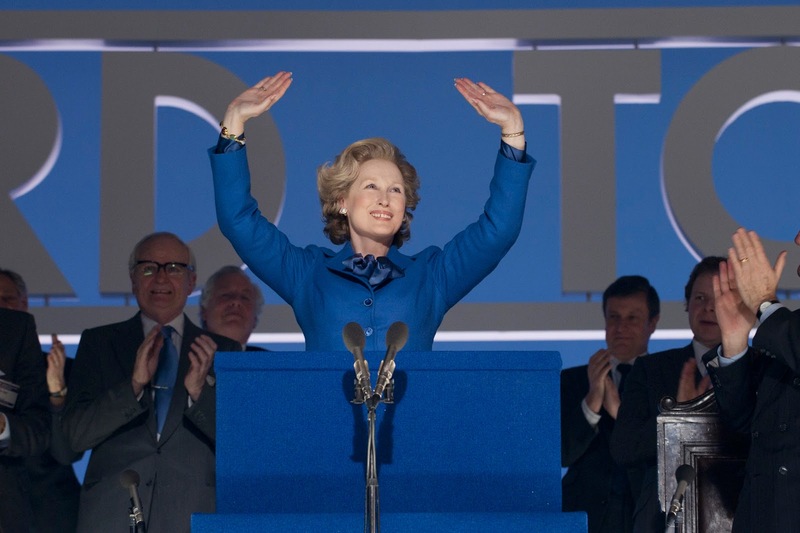 I’m going to put Meryl Streep in fifth for The Iron Lady for a few reasons. There is no doubt that Streep is excellent in this, as she nearly always is. That said, I can’t help but wonder if her win was more or less to give her a number of Oscars (three at this point) more in line with her number of nominations (17 at this point). 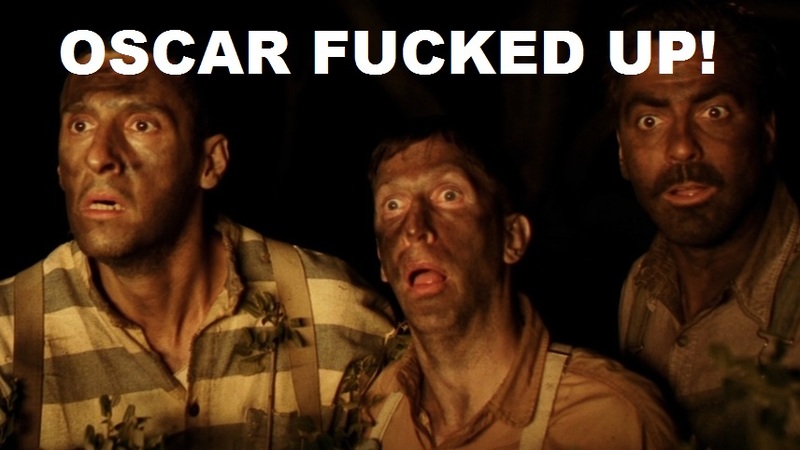 Streep has undoubtedly deserved to win a truckload of gold statues. I just don’t think she should have won for this. 4. 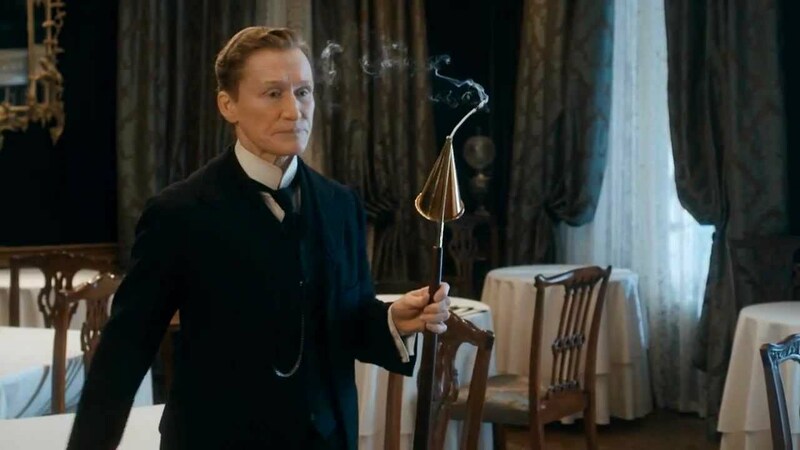 I’d love to see Glenn Close win an Oscar, but I don’t think Albert Nobbs was her best chance for doing it. I think it’s a very good performance, but Close isn’t nearly as interesting as Janet McTeer whenever the two of them are on the screen. When you can’t command the screen from your supporting actor, it’s a problem in winning, at least for me. I also can’t really get beyond the fact that I don’t like Albert that much as a character, and while that’s not entirely Close’s fault, it is her depiction of the character that was nominated. 3. Viola Davis has essentially the same problem in The Help, where she is frequently and constantly upstaged by Octavia Spencer. I give Davis a little more leeway here only because Octavia Spencer is a damn force of nature who is capable of stealing scenes from anyone on the planet, which makes this less Davis’s fault and more just the nature of being in a film with Octavia Spencer. I like Viola Davis, but it’s a problem when the first things you think about in a film where she stars are characters who aren’t her, because Sissy Spacek steals a lot of scenes, too. 2. Rooney Mara got a little bit of attention from The Social Network, but it was The Girl with the Dragon Tattoo that made her into someone worth watching. I appreciate the fact that she made herself strange and almost otherworldly in appearance for this film. Lisbeth Salander is scary, and that comes entirely from Mara. What’s better is that she makes Lisbeth a real character, someone who has a lot going on behind her eyes that becomes real and visible for the audience. That’s hard to do, and she does it well. I could see her winning, even if she’s not my choice. 1. From the nominees, I’m giving this to Michelle Williams in My Week with Marilyn for one very specific reason. Williams had the incredibly unenviable task of playing a true icon both in film history and in culture. She had to walk a very fine line between making Marilyn Monroe believable and real and still give us the character that we all thought she might have been. This could have easily dropped into farce or parody and it never does. She makes Marilyn real and human, which might be the most difficult thing to do for someone who has become a legend rather than a human being. All of that said, I’m still going elsewhere. I wouldn't have been terribly upset if Rooney Mara had won, and I’d have liked to see Michelle Williams cross the stage, but the real winner here is Leila Hatami in A Separation. This is the most emotionally affecting film from 2011, and hers is the most emotionally affecting performance. It’s heartbreaking and real, and to not have her in the list of nominees was simply wrong. I really like all these actresses, except Rooney Mara whose specialness eludes me, but I'm rather indifferent to all these performances. I'll start with Meryl Streep, great actress winning for what I think is one of her most mannered awkward performances just because it's "her time". Ugh! First of all ANY performer who already has two Oscars has had "their time" and simply can't be judged overdue and the picture is a stinkeroo to boot. Had she won a third for The Devil Wears Prada you wouldn't have heard a peep from me but for this? I felt nothing in particular for either Mara or Glenn Close's characters, though I'd love to see Glenn win or have won already, and she was the most fun this particular year on the endless round of red carpets because like everyone else she realized she didn't have a prayer of winning so relaxed and enjoyed herself. Michelle Williams is a fantastic actress and hopefully an eventual winner who pursues challenging unusual work and she did what she could to make Marilyn a flesh and blood woman I just didn't buy it. Perhaps I'm tainted because of seeing Catherine Hicks years ago in the TV special Marilyn:The Untold Story where she achieved what seems the impossible for others, she captured Marilyn's essence and made her a fully realized person in a way that for me has never been equaled. I really love Viola Davis and wanted her to win this out of the five though she is at times overshadowed by Octavia Spencer but I still wasn't completely blown away by this performance the way I've been by others of hers. A disappointing year. I've yet to see A Separation so I can't judge Hatami's work but I have a couple others I would have rather seen make the list than any of the women who did. Anna Paquin in Margaret would have been a fine addition as well as Kathleen Turner who finds every nuance of the nutty complex character she plays in The Perfect Family and the same would go for Charlize Theron in Young Adult. I would have rather seen any of them in the running. I'm not overly enamored of Rooney Mara either, but I think this was a very good performance from her because I think she created a genuine character. I really like Michelle Williams in My Week with Marilyn, so I think she's the best of the bunch, but Hatami is transcendent in a difficult role. 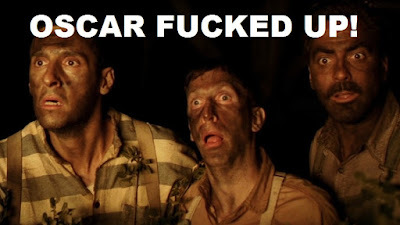 It's not a pleasant movie, but it's worth seeing. I do think Streep suffers criticisms from being too good. Fair or not, she is often miles better than her peer group in any given year. From the other 2011 films I've seen, Tilda Swinton is also a standout in We Need To Talk About Kevin. I didn't enjoy A Dangerous Method too much, but Keira Knightley deserves some consideration. I loved A Separation and Leila Hatami is an excellent call. It's possible that Streep is damaged by unfairly high expectations due to past performances. That said, I think Williams is the best thing in her film along with Kenneth Branagh. Hatami, though, at least should have been on the list. Wow. I feel like I missed this entire group! I did see Rooney Mara in The Girl with the Dragon Tattoo, and she was stunning in that part. I really need to catch up with A Separation. I'll probably be okay with skipping a bunch of the others, except maybe My Week with Marilyn to see Michelle Williams (who's always interesting). I'd pretty much agree with that assessment. Albert Nobbs was interesting, but not great, and I felt the same way about The Iron Lady. 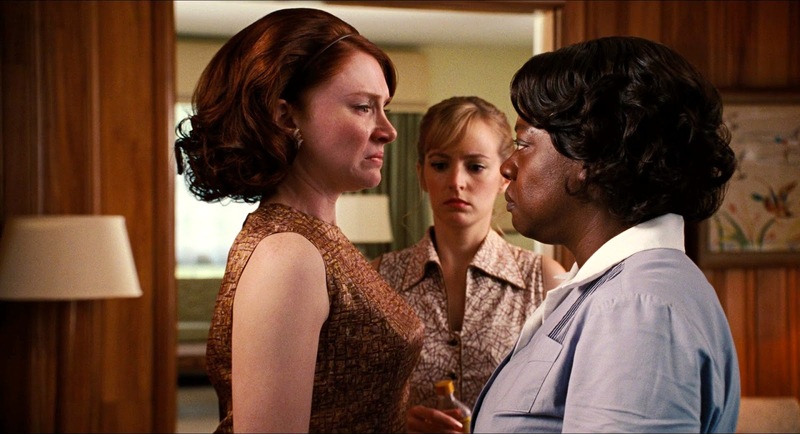 The Help has real problems, but it's worth seeing. I still think this is a rather weak offering of nominees. Love your inclusion of Anaya and Hatami. Swinton would indeed be my winner. I fully agree with Streep being placed fifth. Mara would be my choice of the nominees, but I adore Williams’ performance. There are some of these where it feels like everyone could legitimately win, and there really isn't a wrong choice. Then, there are ones like this where it feels like there just isn't really a right choice, so again, it's hard to fault someone else's pick. None of them really feel completely deserving.